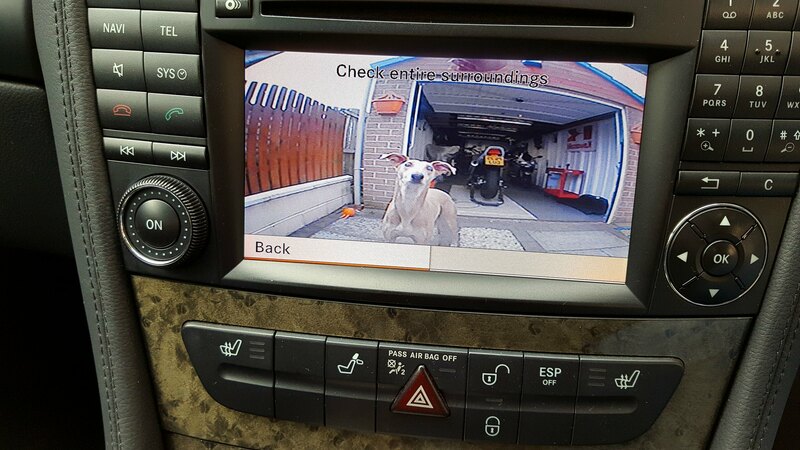 Where can I get a reversing camera retrofitted?! Discussion in 'Electrics, Vacuum, Ignition and ECU' started by Nickyno2, Jun 11, 2018. Does anybody know where I can get a reversing camera retrofitted to my 57 plate ML320? I live in Sussex so, anywhere that isn’t too far away would be great! Google is your friend here, also try any local Caravan/Mobile home sales places, they retrofit them all the time to those vehicles. ^ Look no further. These guys will sort you out. Not too far away in Lightwater Surrey. Alfie, Nickyno2 and GLK like this. Thank you very much - I’ll take a look. Had mine done there and I can heartily recommend them. AMGeed and Nickyno2 like this. Their stuff seems to be on the expensive side though .... quality but expensive.. Needs both in my view at least..
Not that they need any endorsement, but I too would like to add my vote to comandonline - Mark performed some STAR magic on my little car and it's brilliant! Yup - have both OEM Parktronic (beeping and LEDs) and aftermarket reversing camera (and a HU with dynamic guide lines) - not often all three needed, as you said, but useful to have all the same. I agree, beepers would be better than just the lights that I have (it only beeps when it gets to the point that it thinks you’ve hit something) I don’t want to be staring at the lights - i’d rather see where I’m going! You’re right - ComandOnline are expensive!! £699!! What head unit do you have ? I fitted one to my CLS for around £200 , the coding to get the screen to switch to video mode was the most expensive. The camera was cheap and the rest was just time to do the install. Nickyno2 and GLK like this. Yes mine has the warning tones also, the S212 is a huge car so having both is very useful and the guidelines are helpful. I have 3 cats that like to sit behind the car and play dare, if one was to be hit I would never forgive myself. The main dealership we’re going to charge from memory £940, Comand use genuine parts and register the upgrade so it’s not deleted during any software updates. You can of course get reversing cameras cheaper but the Mercedes kit is extremely good quality. Botus, Nickyno2 and GLK like this. I have exactly the same problem with cats sitting behind the car!! I definitely want the Mercedes kit - I expect it will be the best option! Thought I'd add my two penny worth. comandonline were recco to me by my own main merc dealer "as they know how to retrofit toys properly"
That’s great, thank you very much for sharing your experience! I suppose its the very low price you can buy cameras for that skews the thinking, even some of the Ebay chinese specials give great pictures. Sony equipped cameras for buttons. I don't know who's sensor/lense is in the Mercedes one, £699 seems too much to me.